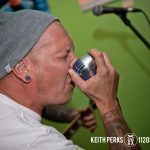 The Electric City Music Conference and Steamtown Music Awards will host a free announcement event at Thirst T’s Bar & Grill in Olyphant on Sunday, July 16 at 6 p.m.
“Thirst T’s nurtures locals musicians and provides a stage for both established and up-and-coming artists. We think that makes it the perfect place to announce the nominees for this year’s award ceremony,” explained ECMC co-producer Joe Caviston. At the event, organizers will announce the finalists for each Steamtown Music Award category. 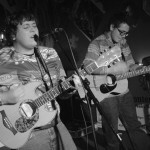 Local rock bands E57 and Blind Choice will provide musical entertainment for the evening. “Every year, the announcement party, much like the conference and awards ceremony, continues to grow,” noted co-producer Ken Norton. The Thirst T’s (120 Lincoln St., Olyphant) event will also feature the unveiling of the 2017 Electric City Music Conference performance schedule. “Not only will we be releasing some fun information, we’re creating another great opportunity for performers to network. 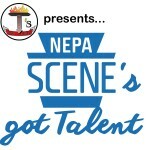 The room will be filled with the best musicians and music professionals in NEPA,” Caviston added. The fourth annual ECMC will kick off with the SMAs at The V-Spot (906 Providence Rd., Scranton) on Thursday, Sept. 14, and the rest of the conference will be held in venues throughout the Scranton area on Friday, Sept. 15 and Saturday, Sept. 16. See NEPA Scene’s photos from last year’s announcement party here and check out photos from the 2016 Steamtown Music Awards with the list of winners here. Photos from the entire 2016 conference are here, and you can stream or download last year’s ECMC panel discussions as free podcasts here.